You own a superbike. You have a passion for high performance motorcycles. We understand that this is more than a hobby for you, which is why we offer tailored insurance specifically for those that own a superbike. No longer restricted to just the racing circuit, manufacturers such as Yamaha, Honda, Suzuki, Kawasaki and Ducati produce superbikes which can be used on the road but are still designed for speed and acceleration as well as excellent cornering, manoeuvrability and braking. In essence, they come with everything you would expect from a high performance motorcycle. Whilst aerodynamics may take prominence over comfort, superbikes are built with higher foot pegs and lower handlebars which help positions the rider's weight further forwards to offer a whole new riding experience. Superbikes, which are also referred to as literbikes (1,000cc), enable the rider with a need for speed and style to enjoy increased engine power and even model their riding techniques on their favourite superbike racer. You won't find any of the added features or comforts that you would get on a touring bike, but what you will get is a high performance machine to be proud of. We also offer specialist insurance cover for other types of motorcycles which are considered to be a 'higher risk,' including sportsbikes and supersports bikes. As a result we aim to seek the most competitive policy from our panel of insurers, so that you get the cover and peace of mind you deserve. You may be a thrill seeker who enjoys experiencing the power and acceleration of your sportsbike on the open road. 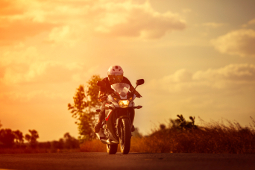 Or if you just love the adrenaline rush of your supersports bike (600cc or above), we can offer you insurance policies that can be tailored to suit your needs and keep you covered. To get a quote for your superbike, sportsbike or supersports bike simply click on our Get a Quote button at the top of the page or contact us to speak to a member of our dedicated bike team.